I accidentally had a carefree night drinking beer the other night. It wasn’t the plan. It just sort of snuck up on me. 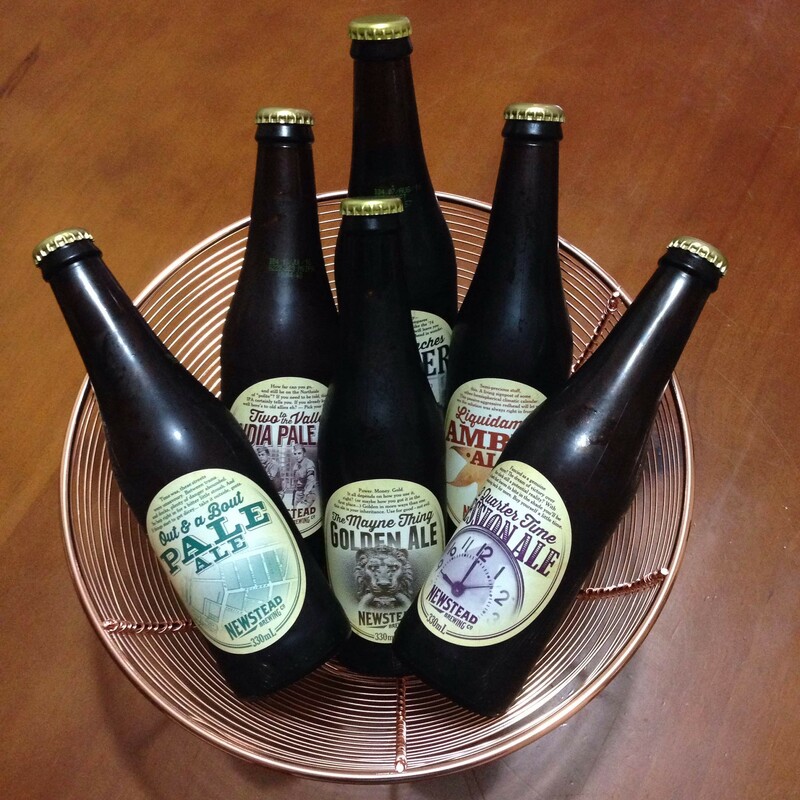 I’ve had a mixed sixpack of Newstead Brewing beers sitting on my shelf for a while (courtesy of Newstead Brewing’s brand ambassador, Darren, who also runs 250beers.com), waiting for the day I’d sit down with a friend and to taste our way through them. We’d take notes, compare, pick our favourites, and walk away with a detailed record of the event. We’d have six new entries in our palate encyclopaedia. We started off on the right track. I got a photo of all 6 beers, all artsy-like. Six beers ready for tasting. 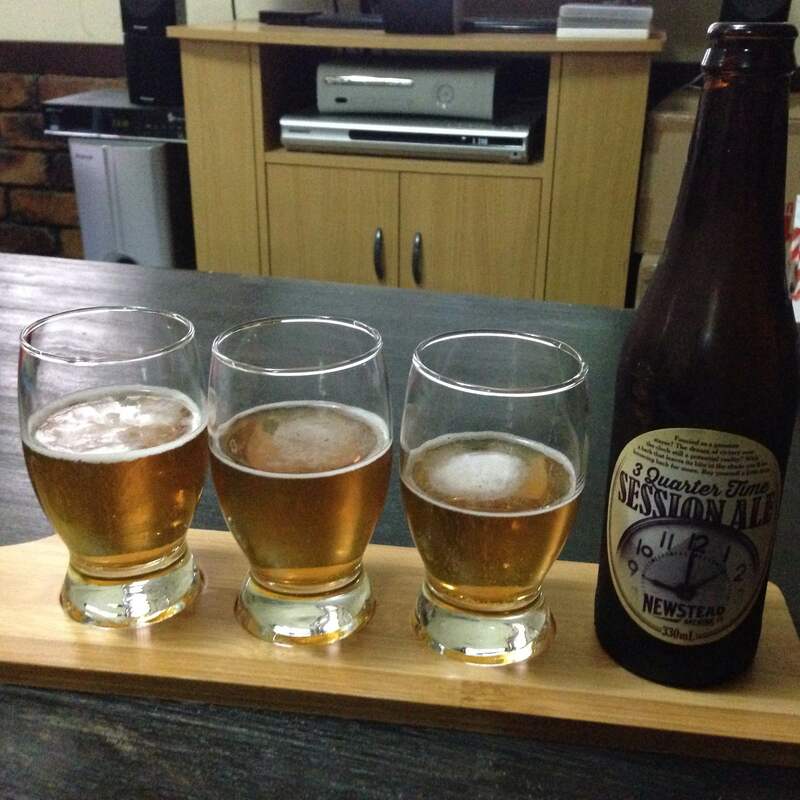 I figured out the order we’d drink them in, and cracked open the 3 Quarter Time Session Ale. We meted it out between three of us, sniffed, and tasted, and discussed how fresh and crisp it was. I jotted down a few notes, of course. Three tasters of 3 Quarter Time. But straight away, the cracks began to show. Problem #1: We started to have meaningful conversation. Mayne. Mane. I can’t believe I only just got that. Kept chatting. Problem #2: Someone told a joke, and the rest of us laughed (we’re all to blame, I suppose). Then—and I can’t believe I’m admitting to this—we took a break from our tasting, and had dinner. Tasty dinner. It was at this stage, when the beer clearly lost our undivided attention, that I should have noticed the disaster closing in on us. We were having reckless fun instead of focusing only on our beer tasting experience. After this we had the Out and a Bout Pale Ale. I have vague memories of delicious hoppiness, but these are crowded out by memories of enjoyable times sitting on the carpet, sharing stories, trying to find something comfortable to lean back on. I could drink pails of this. 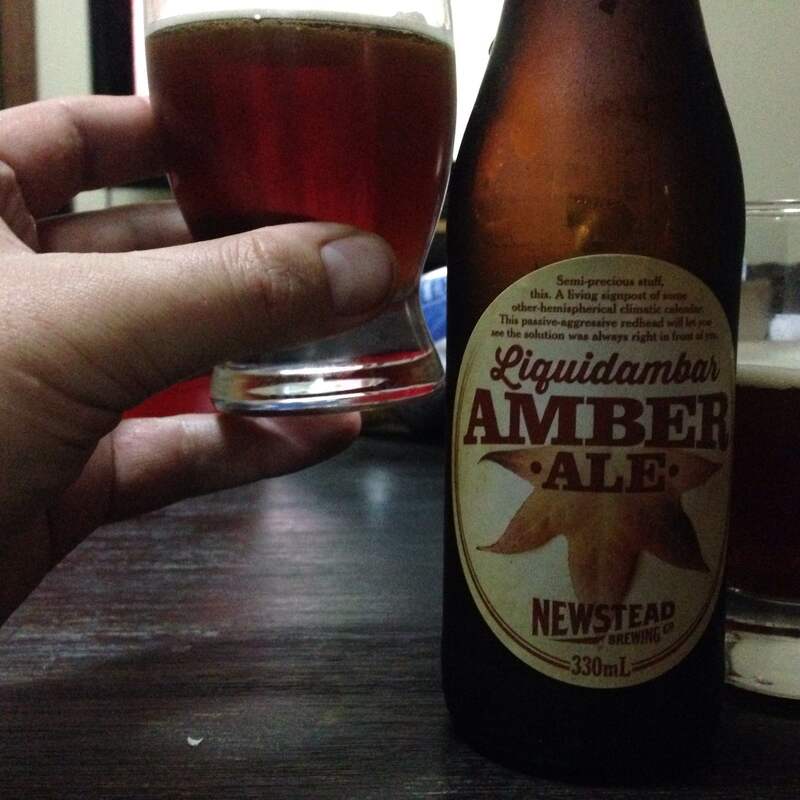 Next up was the Liquidambar Amber Ale. The sweet caramelly goodness wasn’t appreciated in its own right, but only as a positive augment to a delightful time hanging out. And even then, I only had a few sips of it before it was knocked over by a child (“The children weren’t locked away? The beer wasn’t kept out of reach, guarded, and watched at all time? What kind of beer-tasting was this? !”) Luckily, the shape of the glass meant that a single sip was salvaged. 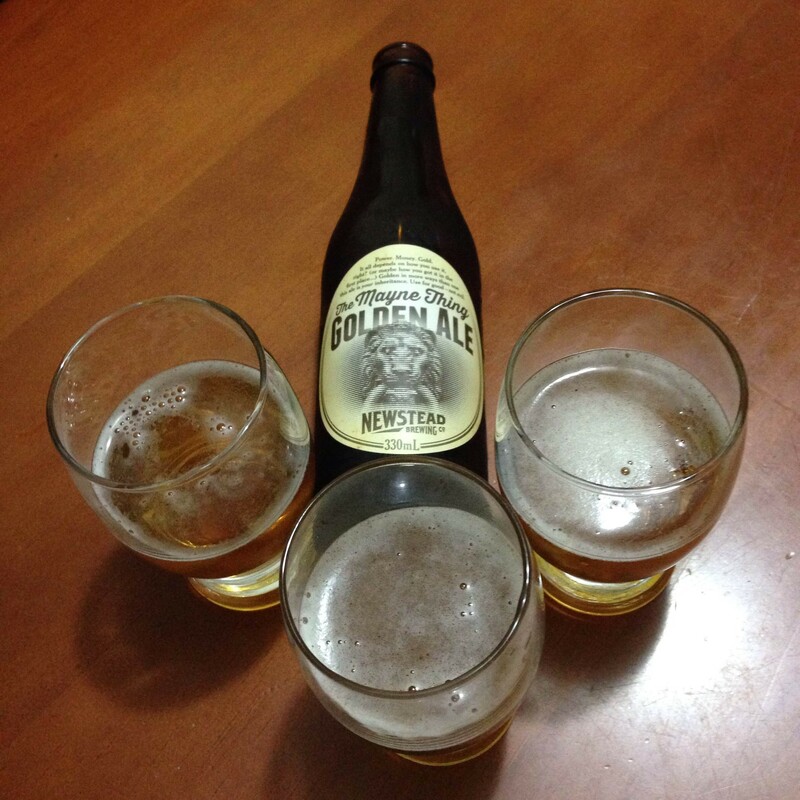 Here’s to three sips of glory. 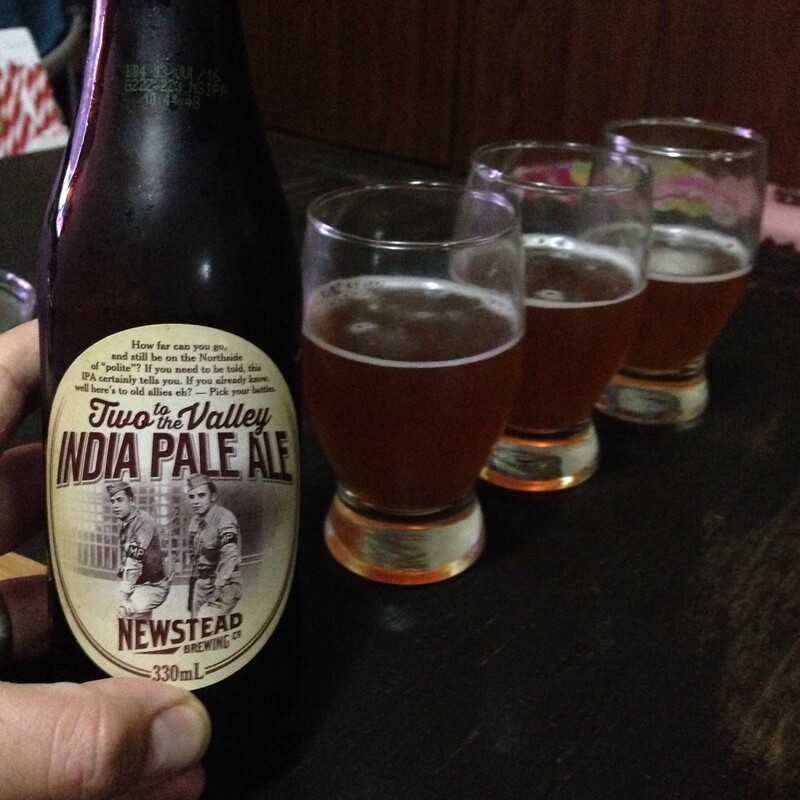 By the time we opened the Two to the Valley India Pale Ale, there was not even a semblance of note-taking. (Interestingly, I ended up accidentally deleting the sparse notes I had taken of the first few beers. So I have nothing written down—only my memories of the tasting, which are tainted by flashes of smiling and warm feelings.) At this point we even started to play a game, throwing aside any farce of having the beer as the centre of the social engagement. 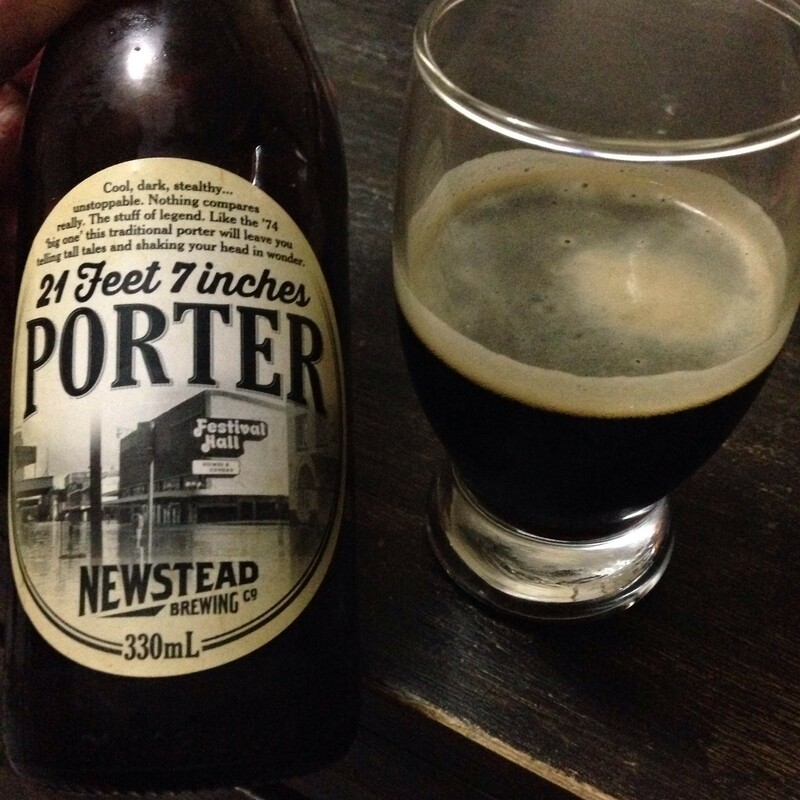 The 21 Feet 7 Inches Porter managed to join the conversation for a little while, interjecting with its robust cocoa flavour. But as it didn’t stick around for as long as the other people in the conversation, it soon faded into the distance as other, non-beer topics took over. Floods the palate with flavour. And that was that. 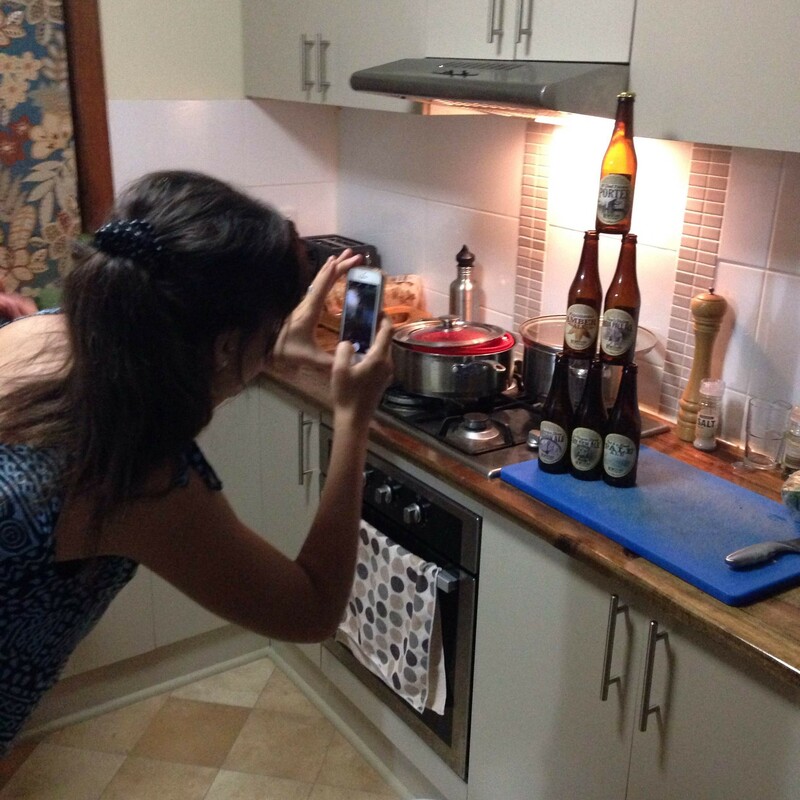 Apart from the lovely pyramid that the bottles made a little later (with the help of one of Instagram’s favourite lasses, @beergirlworld ), the beer tasting was over. I remember enjoying all six. I remember a few of the delicious flavours rolling over my tongue. 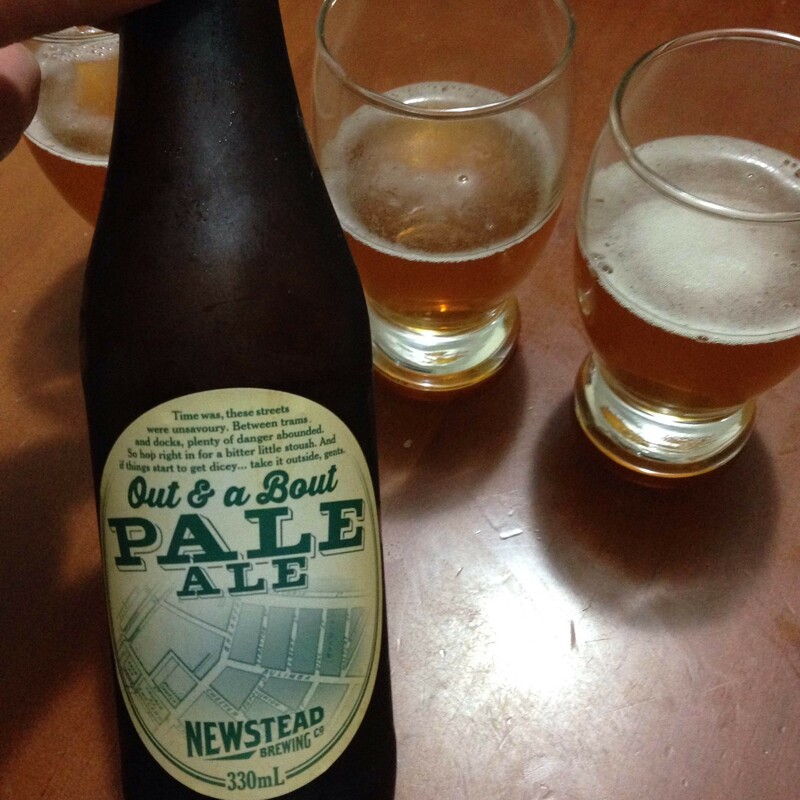 But unfortunately, Newstead Brewing’s core range beers implanted themselves on my mind not solely by the delicate balance of flavours, but because they assisted me in having a great night with my friends. So beware. 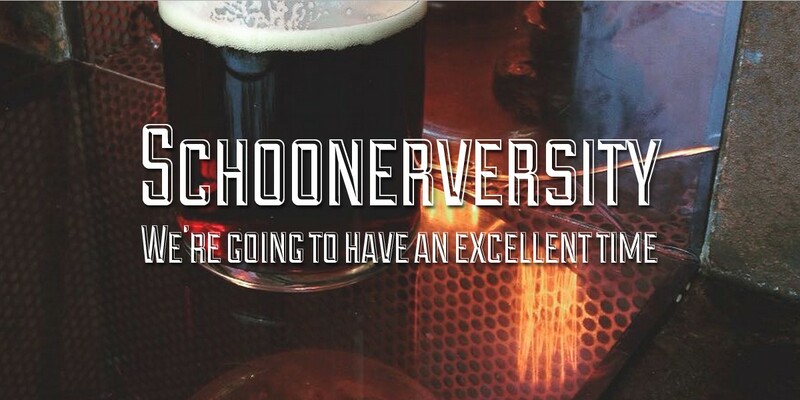 You may think you’re safe, because you have discipline and discernment and focus, but if you get those beers, you might find yourself in the same pitfall as I did—lured into an enjoyable and memorable night with good people, with great beer only featuring as an accessory to fun. What type of learning establishment is this? Where’s the commitment to academic rigour, critical analysis and evidence collection and dissemination?! It’s almost as if the beverages were simply an adjunct to an enjoyable evening! I love your work.